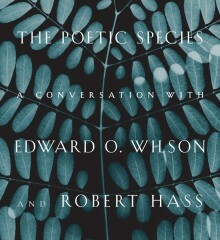 In this conversation, Norman Lock, author of, most recently, the American Novels series, and Romanian visual artist Constantin Severin, founder of the Archetypal Expressionism movement, explore ecstatic visions, healing the world through metaphoric language, and the ways their work seeks to “quote” the past for the purpose of enriching the present. Constantin Severin: Can we start with the beginning? 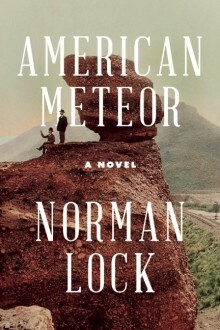 Norman Lock: The beginning is as good a place as any to tell the story of oneself. CS: Did your childhood in any way cause you to choose the writer’s path? NL: Experience has taught me that the path—moment by moment—chooses me. It may be otherwise for others, but what has become of my life—and what, with every motion of the heart and mind, is in the act of becoming—seems to be within the control of circumstances. I do not mean that the universe has been arranged to do me good or mischief, although, for all I know, it might have been. I like to keep an open mind when it comes to the largest things—call them deities or singularities (if the word is not an absolute), as you wish. I like to believe that the smallest things intervene in my life—with or without intention: whether I call them quarks, a nervous synapse, an unruly gland, or a gnat, which I might—by chance or destiny—snuffle up my nose. Like most people, who are raised within the conventions of the culture, faith, and system of belief in which they find themselves at birth, I began as a pragmatist, whose universe extended not much farther than my fingertips, accompanied by a vague sensation of the world beyond, intelligible by superstition and rumor. Like most others, I underwent a weakening of faith—more in emulation of angst-ridden characters of fiction and posturing friends than in earnest. Skepticism remains a habit of mind and a proof of one’s intelligence (or worse, of sophistication) long after its usefulness to the formation of the sovereign mind. I am only now, in my sixty-fifth year, examining my disbelief in light of my experience. A person who insists—if to no one but himself—that he is obedient to impulses seemingly not his own and that he writes at the behest of a voice that issues from his unconsciousness or from some entity in deep space—a person such as I have become is less likely to scoff at the improbable. CS: When did you decide to become a writer and why? NL: I did decide to become a writer—a decision seemingly in contradiction to my previous reply. Or perhaps not, because my mind must have been prepared for a decision, which it seemed to make all on its own, by those circumstances I mentioned earlier. My decision to become a writer would have been a most unlikely one, if it weren’t for the example of my mother, who was constantly reading novels when I was a boy. No one else in the working-class neighborhood where I grew up read books, at least there was no evidence for such a “brainy” pursuit. I read the books that my mother had read, and it was in the historical fiction of Kenneth Roberts, whose novels are decidedly American, that I grasped the possibility of writing. In time, I did become a writer—first of poetry, then of plays, then stories—but by then, my literary experience had shaped my imagination in ways that were European and South American in their expression. I spent thirty years and more wanting to write like Henri Michaux, Kenneth Koch, Max Jacob, Luis Cernuda, Jean Follain, Russell Edson, Joe Orton, Max Frisch, Mrożek, Ionesco, Boris Vian, Cortázar, Dürrenmatt, Calvino, Borges, Landolfi, Kafka, Buzzati, Bruno Schulz, and Beckett. I had forsworn the literature of my own country and language in favor of intellectual fantasy and a stylized fabulism. I wanted to do in prose what Klee and Miró did on canvas and paper, what Cornell did on his little stages, or what Tinguely did with his “good machines.” I wanted to be, in other words, an avant-garde plastic artist—a metaphysician of the retinal arts. CS: As a visual artist, I consider myself, “with every motion of the heart and mind,” a follower of Klee, as well. I also admire most of your favorite writers. In fact, before beginning our conversation, I felt confident that the Romanian playwright Ionesco, who lived many years in Paris, would be on your list; you are known as an author of absurdist plays, as well as a novelist. I had also supposed that a hidden engine of your literary creation is your childhood. History also plays a major role in your fiction. What is your approach to our absurd contemporary history, to the moral horrors of our time, and the constant crisis in which we seem to be living? NL: Up until four years ago, when, by a seeming accident, I began to write my American Novels series, my approach to composition in whatever form was a glancing one. By this, I mean that each work was assembled from the debris of the age, whose themes, for me, were desire and anxiety, together with a longing to escape. My work tended toward the fabulist tradition, which is not a mainstream American one, in which I could invent fables and parables—for the page or the stage—whose meanings were indirect, as in the Absurdist writings of Ionesco, Kafka, or Donald Barthelme. I was in flight from realism and reality, having come to believe, with Michel Butor and others, that, in a postmodern age, an artist is relieved of the necessity of quoting reality, in that reality is unknowable, uncertain, and undefinable. I had renounced my youthful feeling of obligation toward the world outside myself for an interior one, where natural laws were suspended in favor of play and the interrogation of the self. To be truthful, I borrowed the form of certain Postwar Eastern European plays and stories to my own purposes, ignoring their grave subtext, which many times was political. I adapted the form of political drama required by the artist in a totalitarian society for my own highly personal storytelling. It would be wrong to judge this work of mine as frivolous: There was more at stake than whimsy and the pleasure of aesthetic invention; my emotional life, my uneasiness, insisted on it. The dangerous writings produced behind the Iron Curtain gave shape to my own anxiety and fear. But always I felt the guilt of someone who has renounced the world because he feels himself powerless to affect it. The guilt and sorrow that are everywhere present in my writings justified it—or so I told myself. 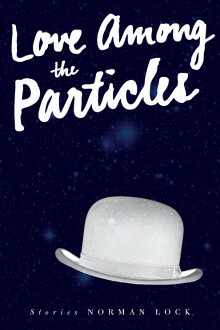 The best of it is collected in A History of the Imagination (2004) and Love Among the Particles (2013). In those two books, history—cultural, scientific, and literary—is the cloak and subject, although the histories are skewed, imaginative recreations of a past, which may or may not have happened as it has been recorded. There was guilt, anxiety, and moral outrage against injustice, but they were “glancing” and indirectly expressed. 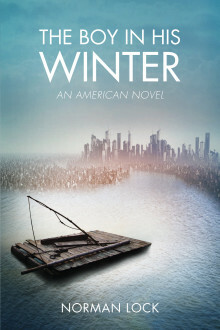 My first American Novel, The Boy in His Winter (2014), began as another such metaphysical conceit—a playfully metaphysical rendering of Mark Twain’s The Adventures of Huckleberry Finn. Like so much else of my fiction, my novel concerned itself with ideas—especially about time. But what I thought would be a time-travel novel became larger as, little by little, Jim, the maltreated black slave, who is “colonized” by Huck, became a major preoccupation of my novel. The past and the present seeped into it in a very real way, and I began to develop the theme of intolerance, which, in the four succeeding books, has become a significant element of the writing. 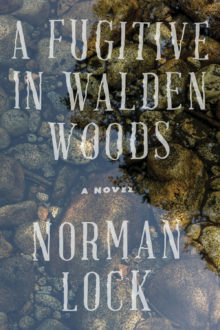 The four novels that followed The Boy in His Winter—American Meteor (2015), The Port-Wine Stain (2016), A Fugitive in Walden Woods (2017), and the recently completed The Wreckage of Eden (2018)—are historical fictions, but not at all like those written by Kenneth Roberts, whose novels incited in me, fifty years ago, the wish to write. 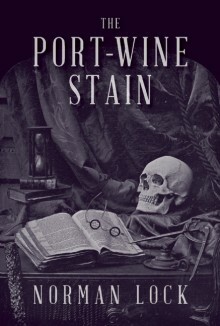 By using an unreliable narrator reporting on his interactions with major literary figures of nineteenth-century America, I hope to expose both the moral horror and criminal injustices of the age and to speak to their persistence in our own. 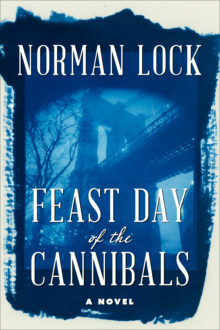 As you would guess, my reading has radically altered—shifting abruptly from the fiction of European fabulists and South American magic realists to that of the nineteenth-century American authors, with whom I am engaged in a conversation—the intent of which is to locate in the past the sickness of the present. CS: I agree that the roots of what we might call “the sickness of the world” lie in our past and that to examine them could be a step toward healing. The literary and the artistic global community share two language paradigms: the figurative and the abstract. In my opinion, we need to be aware of a third, which preceded them: the archetypical language still used by some writers and artists to express the essence of things, located in an atemporal dimension that Brâncuși, for one, asserted in his art. I’ve noticed that the language of your fiction is often an archetypical one, invoking a collective memory. Your use of essential creators of nineteenth-century American fiction, such as Mark Twain, Edgar Allan Poe, and Walt Whitman, seems to confirm your own artistic purpose, which is to blow the dust from the past in order to see more clearly its shape—a shape that is inescapably that of your contemporaries. NL: I like the notion, Constantin, of a third language available to writers and artists. Certainly, Brâncuși’s forms are an elegant refinement of beings and objects in the visible world; further abstraction would have pushed them into a non-objective universe where indirection and ellipsis make narrative less legible or even undesirable. My impulse differs from Brâncuși’s, Miró’s, Motherwell’s, Ellsworth Kelley’s—or Kafka’s, Jean Follain’s, or Russell Edson’s. Mine, like theirs, is a metaphoric language, which attempts—moment by moment—to enlarge the world, to enrich the present or the particular, and to claim extracurricular subject matter for itself. I am, however, a storyteller with an interest in ideas—including moral ones—and would not care to refine my work into mere syntax. Symbolic language is akin to superstition, which, in our enlightenment, we call “supposition.” It is a way to describe the world of uncertainty, where a provisional knowledge is acquired before the possibility of its verification. 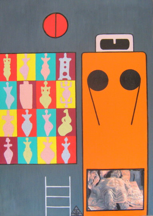 I’ve discovered a spiritual refreshment in your paintings, Constantin, in which an ecstatic vision of the world of objects and people is everywhere in evidence through the use of archetypes. The works of “Archetypal Expressionism,” the movement you founded in 2001, in Bukovina, offer the viewer an experience of transfiguration, comparable to the Rapture. You move with assurance from the voluptuousness of Matisse in the “Text and Time” series, to an ecstatic Fauvism in the “Monasteries” paintings, to the Post-Impressionism of the “Children of Gauguin” series. While your work is evocative of the past, you infuse it with the mysteriousness of the archetype and—in the “Text and Time” paintings—visual quotations from the iconography of art history, cultural celebrity, and sacred emblems. I take great pleasure in the “Hierarchy of Light” series, whose radiant source you seem to have derived from the illuminated manuscript, the ecclesiastical vestment, and the religious icons of the Greek Orthodox faith. In their allusiveness and in their figurative language of suffering and transfiguration, I believe these paintings to be in the tradition of sacred art, made contemporary by the application of certain “decorative” principles. In the “Text and Time” paintings, I find an impulse equivalent to mine: the quotation of the past for the purpose of enriching the present. A work such as “Text and Time, 80,” could be a stained-glass window for a postmodernist house of worship. My work, past and present, has been an attempt—at the level of the sentence—at myth-making, which is to push narrative art toward a condition of maximum meaningfulness, using a stylized and figurative language—your “third” language. I mean for it to be beautiful, although such an ambition is inconsistent with the art brut that seems to be still in favor. The novels I’ve read by Aharon Appelfeld—a countryman of yours—have always moved me in their English translations; they seem written in that “third” language. Since having begun the American Novels, I also intend that my fiction should have a moral and ethical point, albeit a subtle and tentative one. My narrators are many times possessed of the prejudices of their age because they inhabit it inescapably; the broader point of view, which, for us, is retrospective, is, for them, akin to an “event horizon” on the edge of a black hole of ignorance. What I hope to accomplish in the American Novels is to write stories that resemble myths without sacrificing historical authenticity and usefulness—to replace the lies and delusions that continue to influence our view of the political, societal, and environmental world. CS: In another interview, you stated, “I write with an ideal reader in mind.” You acknowledged Erika Goldman, your publisher and the editorial director of Bellevue Literary Press, as one of those ideal readers. Are you also interested in connecting to a larger audience and, if so, do you have a writing strategy to accomplish it? NL: Erika and Carol Edwards, one of the press’s copyeditors, are my partners in an imaginary conversation, which I have with them as I write the novels that Bellevue Literary Press has been kind to publish, just as you, Constantin, are my partner in this conversation, which we have been having, by email, between Romania and America. When I write a novel, I think of Erika and Carol. I hear their imagined voices approving, reproving, or questioning the choices I make as—one by one—they accrue into a finished work. I cannot imagine a “faceless” reader. As a writer I hope, with each new book, to reach a larger audience. Writers and artists are ambitious and presumptuous: It requires self-regard to presume to speak one’s mind and heart to others . . . to impose ideas and thoughts on them. It requires ambition to spend countless hours in isolation, working on a book or an art object. Ambition is what sustains us and—for those of us who are shy—gives us the courage to confront an unseen audience. After the writing of The Boy in His Winter, I knew that I had found important work to do and, in acknowledging its importance to me, at least, I have been increasingly eager to find the largest possible audience for a literary fiction built on history’s ashes. I am a moralist. Much of my work during nearly half a century of wanting to write and, having found a voice and purpose, of writing has been shadowed by self-doubt and moral outrage. I suspect these same feelings are shared by most writers and artists, regardless of their work’s form and substance. I must labor—and can hear Erika’s and Carol’s admonitions in my head—to suppress an evangelical tendency that might inflame my dramas and fiction into something less than art. The use of an unreliable and insecure narrator to undermine my self-righteousness is one strategy of making my novels acceptable to the reader—to the ideal reader who is prepared to be shown the moral horrors and injustices we spoke of earlier. Another strategy is to do what storytellers have always done: to “spin a good yarn” . . . to tell a story that will captivate—by humor, absurdity, hyperbole, elegance, lyricism, and exactitude—as well as provoke readers. 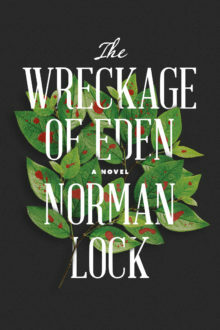 Norman Lock is the award-winning author of novels, short fiction, and poetry, as well as stage, radio, and screenplays. 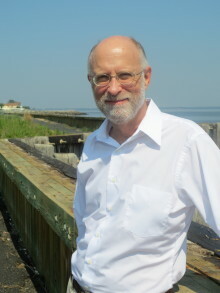 He has won The Dactyl Foundation Literary Fiction Award, The Paris Review Aga Khan Prize for Fiction, and writing fellowships from the New Jersey State Council on the Arts, the Pennsylvania Council on the Arts, and the National Endowment for the Arts. He lives in Aberdeen, New Jersey. Constantin Severin is a Romanian writer and visual artist, founder and proponent of Archetypal Expressionism, a highly regarded global art movement, which he founded in Bukovina, in 2001, as well as co-founder of 3rd Paradigm International Artists Group. A graduate of the International Writing Program at the University of Iowa, he has published ten books of poetry, essays and fiction. One of his poems was included in the 2014 World Literature Today anthology, After the Wall Fell: Dispatches from Central Europe (1989–2014), aimed at popularizing post-Wende Central European literature on the twenty-fifth anniversary of the fall of the Berlin Wall. Severin’s conceptual art and artworks have appeared in Artdaily, World Literature Today, It’s Liquid, Levure littéraire, Empireuma, Contemporanul, Vatra, Arkitera, Glare Magazine, Cuadernos del Ateneo, Dance, Media Japan, and other international art and literary magazines. *This BLP Conversations series installment also appeared in Alchemical City and Levure littéraire.